Who Blew Up Iraq’s Iconic Grand Mosque in Mosul? The Grand al-Nuri Mosque and its leaning minaret in Iraq’s second city Mosul have been blown up, with Iraqi and US militaries blaming the Islamic State and ISIS claiming a US-led coalition air raid. 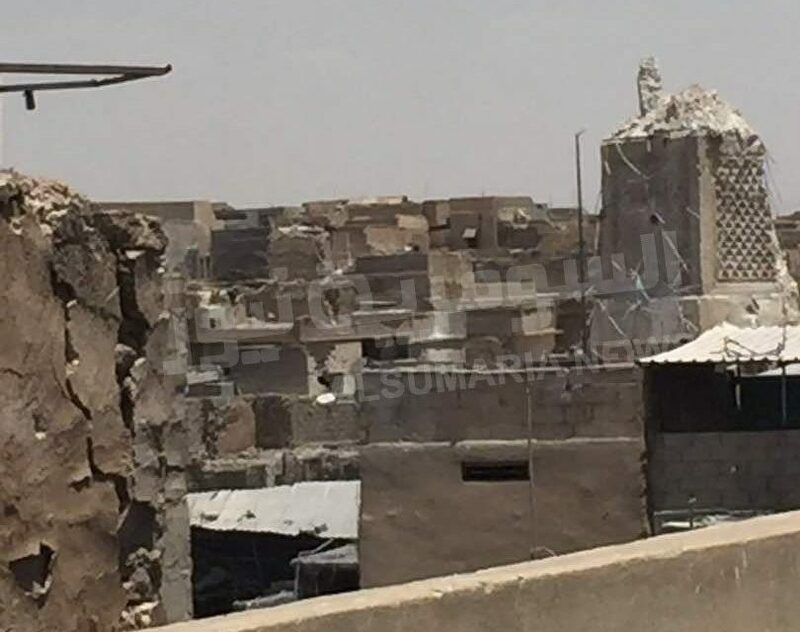 The mosque, where ISIS leader Abu Bakr al-Baghdadi announced a caliphate in July 2014, was destroyed on Wednesday as Iraqi forces closed on the final areas held by ISIS in the center of the city. “Our forces were advancing toward their targets deep in the Old City and when they got to within 50 metres of the Nuri mosque, Daesh committed another historical crime by blowing up the Nuri mosque,” Lieutenant General Abdulamir Yarallah, the overall commander of the Mosul offensive, said late Wednesday. Major-General Joseph Martin asserted, “The responsibility of this devastation is laid firmly at the doorstep of ISIS. The mosque was built in 1172-73. Iraqis refer to its leaning minaret as al-Hadba, “the hunchback”. On Tuesday, Iraqi forces encircled the Old City, the last district under ISIS control, and they began moving towards the mosque on Wednesday. US and Iraqi military sources said ISIS leader al-Baghdadi has left Mosul and is believed to be in the border area between Iraq and Syria.